Over the last few years people have become more concerned about EMF radiation. We are hearing more and more about harmful influence of cell phones, computers and TV sets on our health. Nevertheless electronic gadgets have become an integral part of our modern-day world, and we can’t easily exclude them from our daily life. So, this raises the question: what can protect us from radiation without changing our habits. 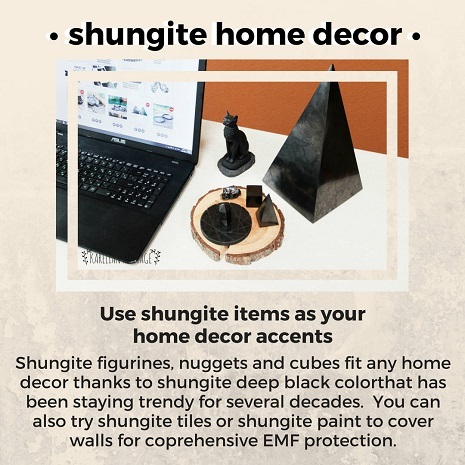 The answer is simple – shungite! 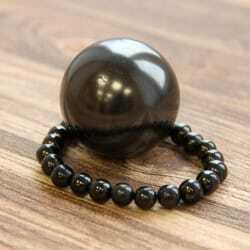 This magic stone is prominent for its protection properties. 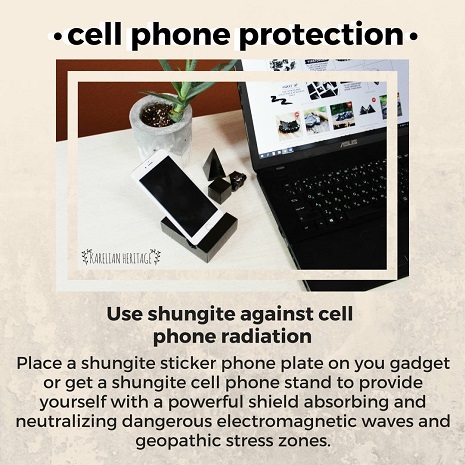 Shungite products are the best solution for those who suffer from electromagnetic hypersensitivity. Why are geopathic stress and EMF radiation so dangerous and harmful for people’s health? It was scientifically proven that EMF and geopathic stress make human body vibrate at higher frequencies than normal and can affect the immune system, making people more sensitive to viruses, bacteria, parasites, environmental pollution, degenerative disease, and a wide range of health problems. In 2010-s, a group of independent scientists from 10 countries prepared a report, aimed at revealing the correlation between electromagnetic fields and people’s health. According to the Report, people who suffer from electromagnetic hypersensitivity face such problems as chronic fatigue, regular stress, decreased attention span, memory loss, depression, anxiety and insomnia. Moreover EMF and geopathic stress can cause more serious health problems such as increased blood pressure, heart rate and blood sugar, arthritis. Also it can affect the reproduction ability and increase cancer risks. Even notable organizations such as the International Agency for Research on Cancer (IARC), a component of the World Health Organization (WHO), don’t deny EMF negative effects. In its recent statement, the IARC conceded that EMFs are "possibly carcinogenic to humans." Nervous system is the most vulnerable to the negative influence of radiation. Out-of-nowhere depressive tendencies, lack of focus and problems with memory are the first warning signs. You fall ill more often than before as electromagnetic waves have weakened your immune system. The common colds have become your general state. Random muscles pains, regular headaches and unusual pulse patterns alarm that your cardiovascular, musculoskeletal systems are in danger. Constant EMF exposure makes you hormonal level jump back and forth. It results in chronic fatigue, exhaustion and brittle temper. If you notice at least one of the signs, it would be wise to consult with a doctor as well as to try shielding yourself. There are multiple ways to reduce harmful influence and protect you from EMF and geopathic stress. The simplest one is to minimize the usage of your electronic devices. However in our age of sophisticated technologies it seems to be impossible. We can’t imagine our life without smart phones and computers. But we can make their usage safer and less harmful for health. 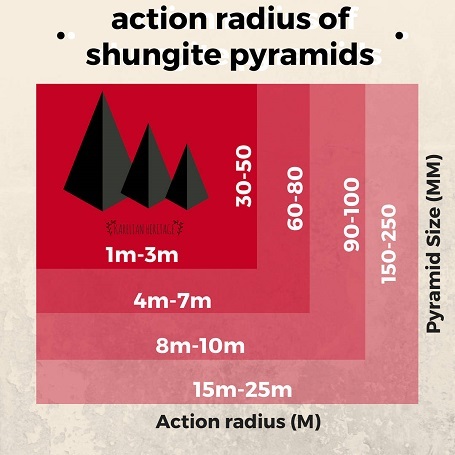 The most efficient and cheapest way to reduce radiation influence is shungite. 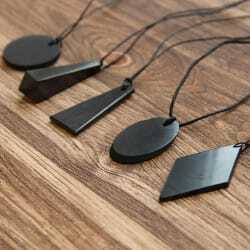 The stone is widely known by its absorbing and protecting properties. 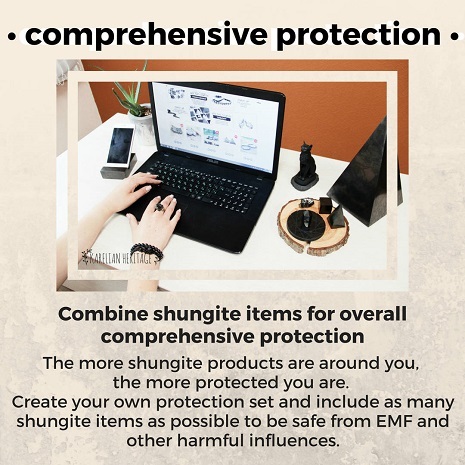 Shungite is a natural geomagnetic material with a strong screening effect neutralizing high frequency and microwave frequency electromagnetic radiation. 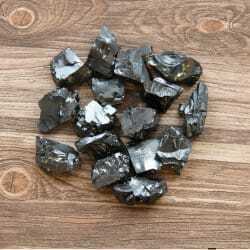 One more significant advantage of shungite stones is that they don’t have date of consumption, you can use them unlimitedly. The only thing you need to do in order to maintain their efficiency is cleaning and charging your stones on regular basis. 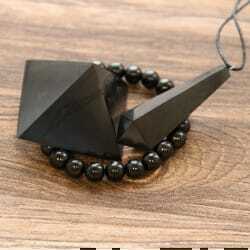 Broadly speaking, almost every person needs to have shungite stone. 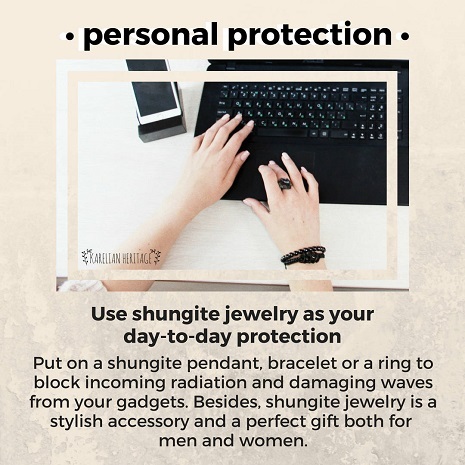 We surround ourselves by electronic devices and need to be protected from negative energy impact and potentially dangerous electromagnetic waves. 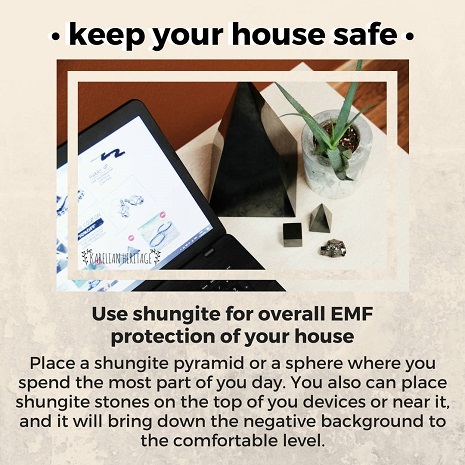 There is a wide array of options how to use shungite stone for EMF protection and geopathic stress reduction, so everyone can choose the most appropriate one.